I like planning and being well prepared. My friends often tease me about it because they are always last minute and ALWAYS forgetting stuff. I don't. So now we have booked a nice winter holiday in the Alps for January and I am - of course - already making sure that my gear and wardrobe is up to date. I noticed that my ski boots are outdated and that I need new ones, and I also need new long johns, socks and ski glasses. So, since I have plenty of time, I can search around for the perfect ski boots and socks without stress. 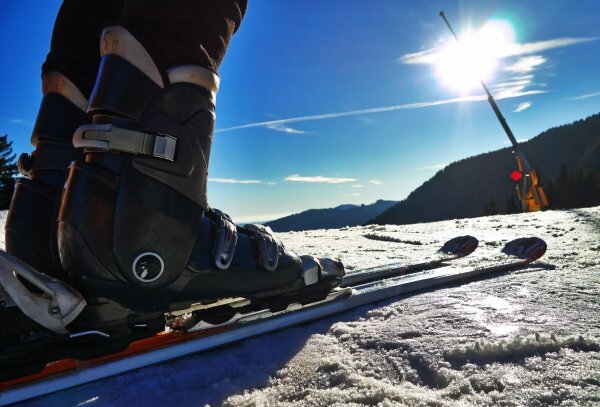 So, how to choose ski boots? It seems straightforward when you are not in the process of bying them, because then a whole lot of questions arise, like size, style, comfort level etc. Can I buy ski boots online or should I try some out at sports store? I found some really good aswers on my favourite ski site Freeride. "He who laughs last laughs best. ".